President Barack Obama extended a "hand of friendship" to Cuba in a statement Saturday morning after the death of former Cuban leader Fidel Castro. Obama offered his condolences to Castro's family, reaffirming that the Cuban people have a "friend and a partner" in the US. "We know that this moment fills Cubans — in Cuba and in the United States — with powerful emotions, recalling the countless ways in which Fidel Castro altered the course of individual lives, families, and of the Cuban nation," Obama's statement read. "History will record and judge the enormous impact of this singular figure on the people and world around him," he added. 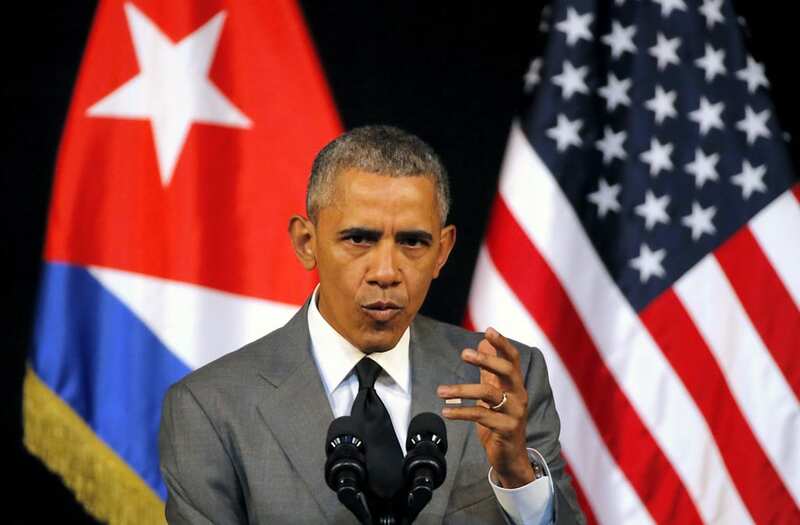 Obama said his administration has worked hard to "put the past behind us" and pursue a future in which the Cuban-American relationship is defined not by differences, but by "the many things that we share as neighbors." Obama has worked to normalize relations with the formerly Soviet-allied island nation over the final two years of his presidency. He became the first sitting US president to visit Cuba, meeting with Raul Castro — Fidel's brother and the country's current leader — since Calvin Coolidge visited in 1928. Obama has since eased travel, trade, and financial restrictions on Cuba, allowing travelers to bring home Cuban cigars and rum. The president also opened the door for Cubans to purchase US products online and paved the way for Cuban companies to conduct joint medical research with American pharmaceutical companies. Obama has sought to make these changes "irreversible" before he leaves office in January. Together, the shift in Cuba relations represents one of the defining foreign policy elements of his legacy. It's unclear how President-elect Donald Trump views relations with Cuba, though he has criticized Obama's policy on the campaign trail. Trump hasn't made an official statement on Castro's death, though he did offer a succinct tweet.